The dining table: its size, shape and the material it’s made from says more about a family than any other piece of furniture. When we dine with family we share more than a meal- we share our daily experiences and create memories. 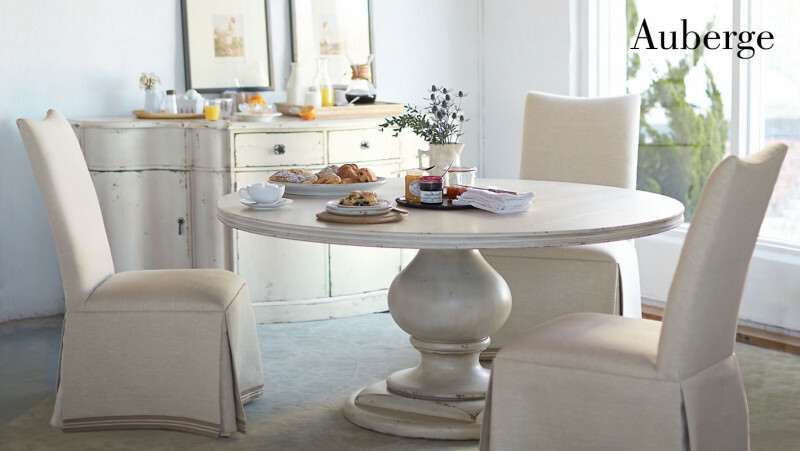 The dining area is a special focal point of the home, and it deserves special attention. If you want to buy a dining table that will stand the test of time, be ready to invest some money. Let’s check out some different top of the line brands. One of the largest family-owned furniture companies, their company headquarters are in North Carolina, and they operate eight manufacturing facilities all over the world. 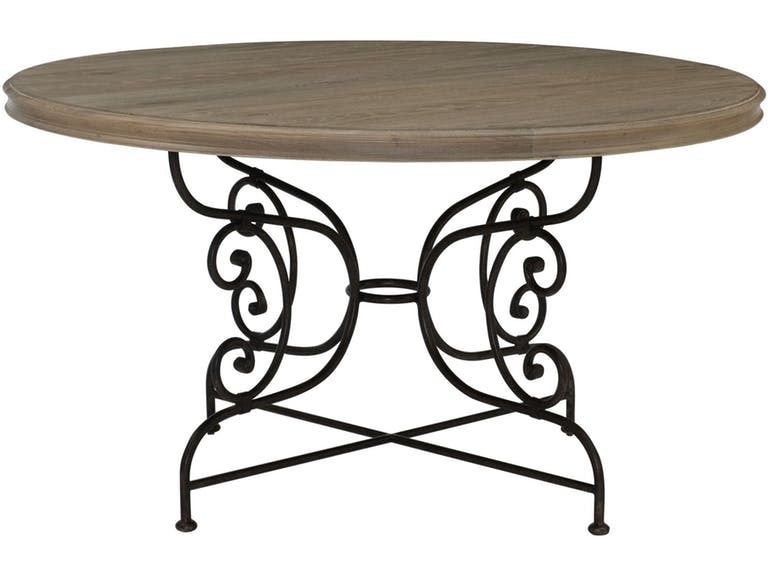 They have a beautiful collection of dining tables in all shapes and sizes, and they even have custom-made options. Bernhardt has a gorgeous collection that they have named the Auberge Collection, inspired by “the feeling of a sophisticated French inn.” They describe the entire collection as cozy and comfortable, as well as chic and sophisticated. Many of the items in this collection are made to order, so pricing will vary. In addition to their Auberge collection, we found some other nice options that you might want to consider. 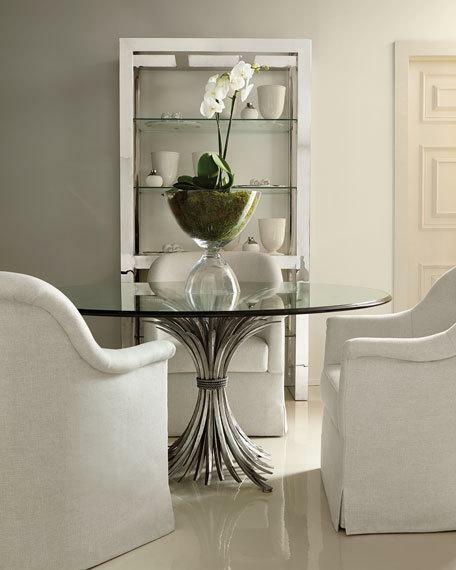 Their handcrafted Gwinn Glass-Top Dining Table is the epitome of elegance and fine craftsmanship. This imported dining table has a cast aluminum base with wheat motif design and plated metal leaves in silver leaf finish. Interesting feng shui fact: a dining table that is round in shape is said to keep the family together because the energy is welcoming. It makes it easy to relate to one another if you are close in proximity and facing each other. Originally started by Lillian August as a small business selling arts and crafts in 1985, in 1987 her two sons, Dan and John Weiss, joined in and opened their first storefront in Westport, Connecticut. The business grew into the success it is today, and is now a global company. 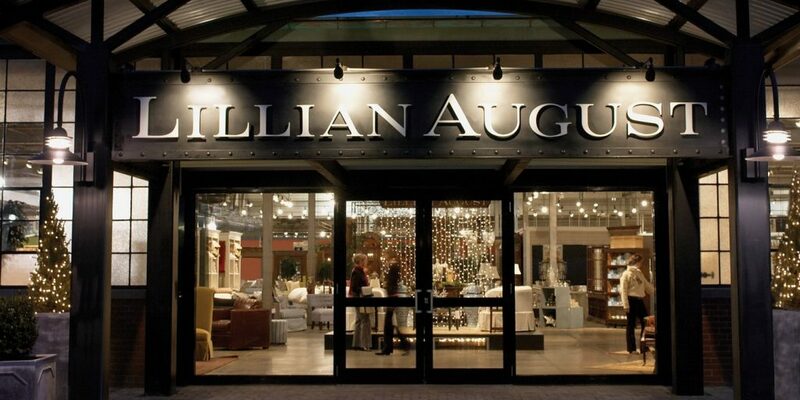 Lillian August features numerous dining table options. One great option is the Templeton, which is a rectangular table with European elegance built in, complete with tapered legs and gold accents. It comes with two leaves that can extend the table to 126 inches. The craftsmanship is superb! Arteriors was founded in 1987 by Mark Moussa. As the business grew to become the success it is today, so did Mark’s desire to make Arteriors a family business. So his dream started to materialize in 2013 when his daughter Mackenzie became an integral part of product development, and later in 2015 son Tanner joined the Contract division. Arteriors also has exquisite lighting to compliment any furnishing of your choosing. Their Draco Dining Table is a great option! 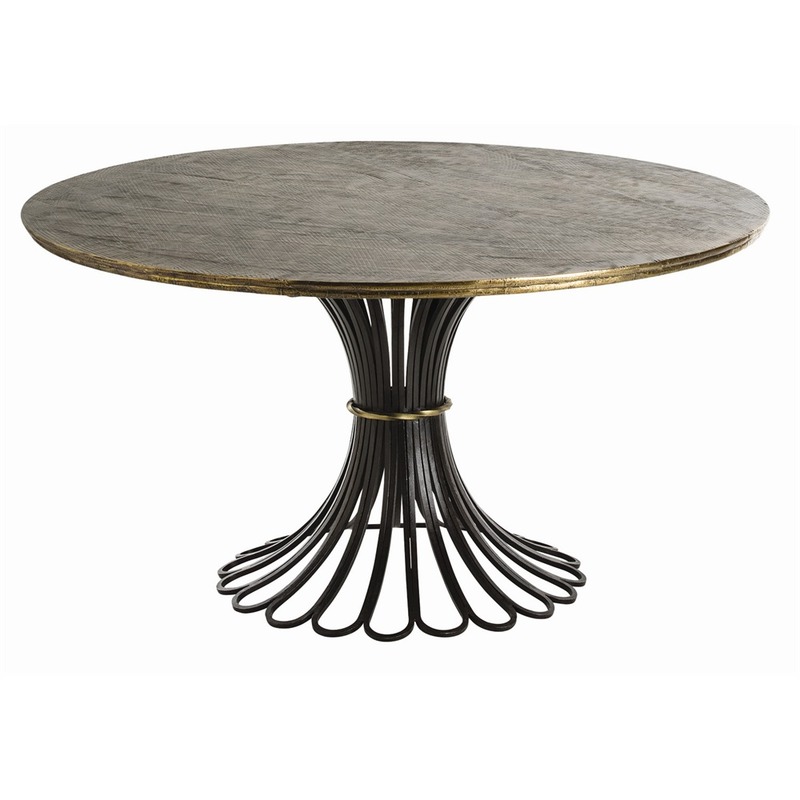 This uniquely beautiful table has an iron base and features a wooden top clad in embossed brass with scratch detailing. The iron base features loop detailing and a defined neck with gold accents. Arteriors offers original styles by blending a touch of the classic with a touch of modern or transitional, creating a unique style. Regardless of the collection you choose, you won’t be disappointed. Century Furniture manufactures very high-end furniture. They have been in business for over 60 years, making all their furniture right here in America. Since all of their collections are so exquisite, what better way to see them than to visit their website! Be sure to check out their Chin Hua Collection. This collection gets its unique design from the range of different woods they use. Each species of wood takes finish differently, resulting in a one of a kind looks. 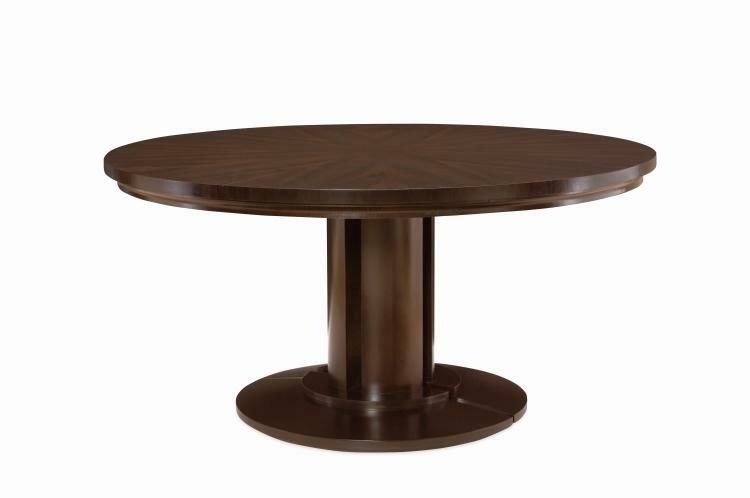 Their Haikou Round Dining Table is a nice choice! 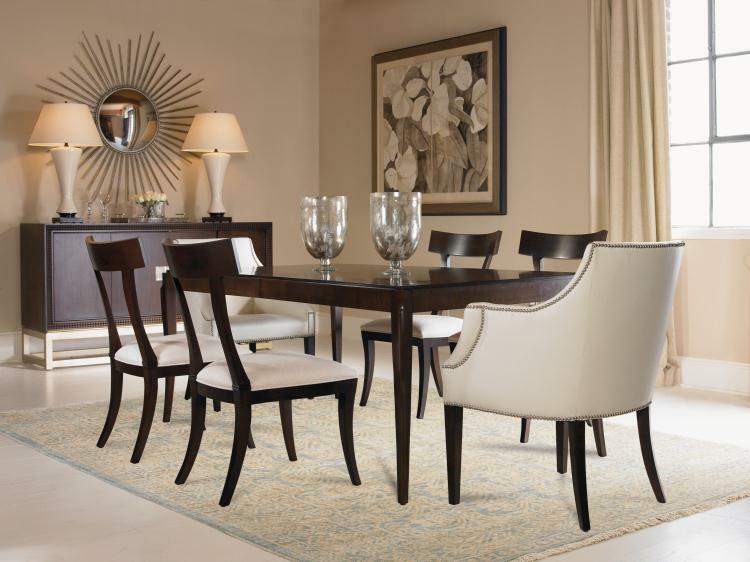 Please note that all of these furniture manufacturers have many dining room collections. We just selected an example from each brand so you could get an idea of what they have to offer. For more information, please see the individual websites we have included. What do you think of your latest purchase, was it built on perfection? Tradition? Go to Revuu.com and leave a review, or if you’re shopping for a new item, search our reviews by brand and get more insight today!